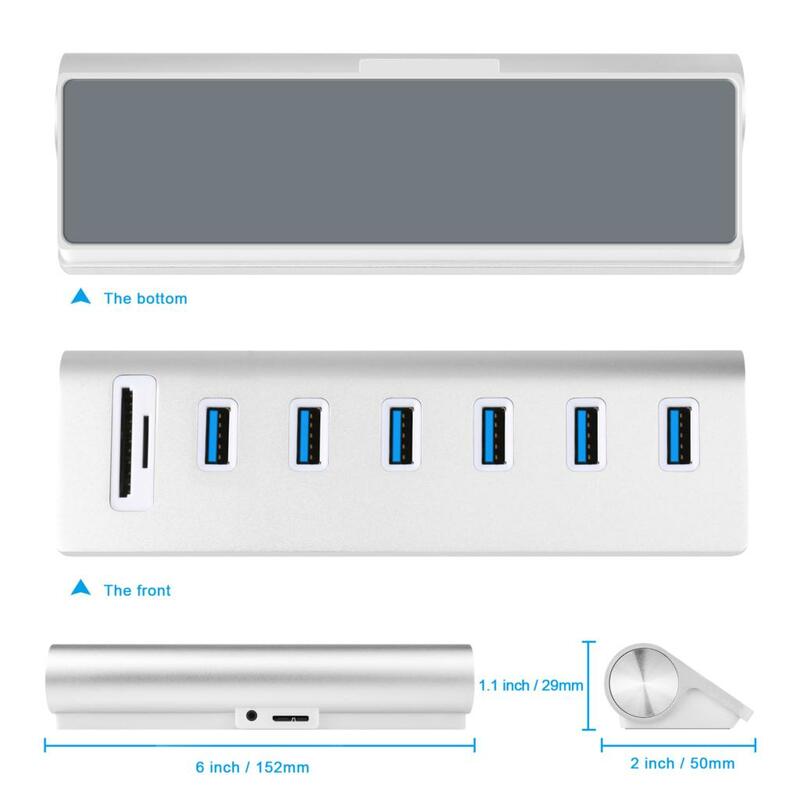 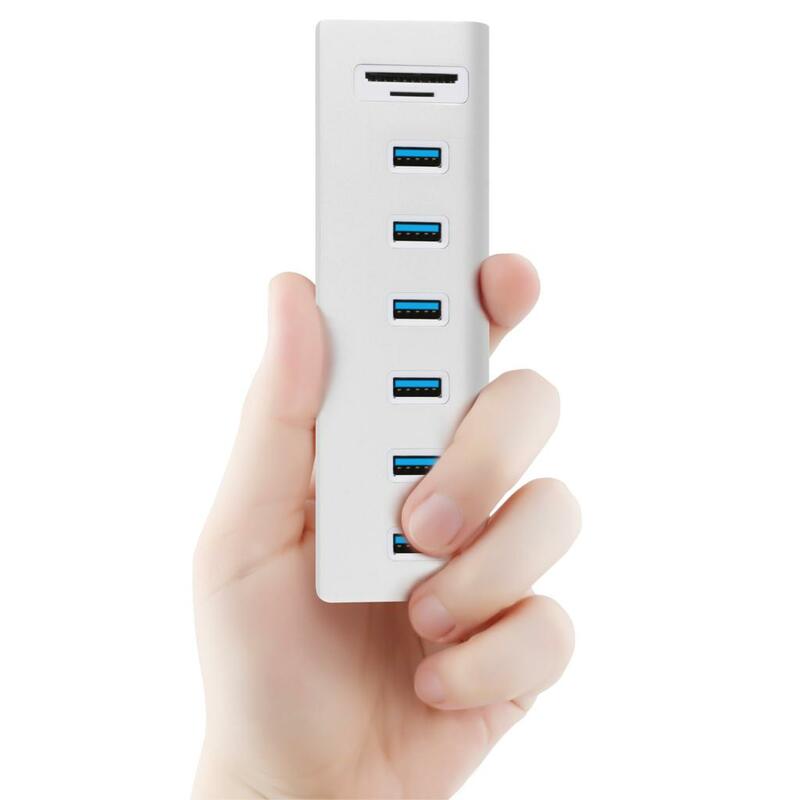 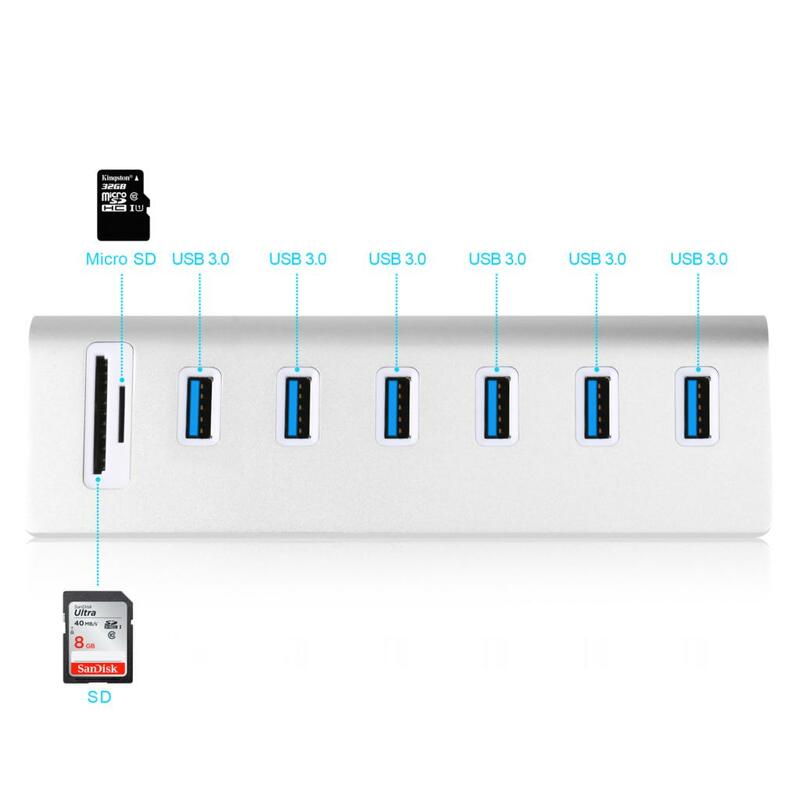 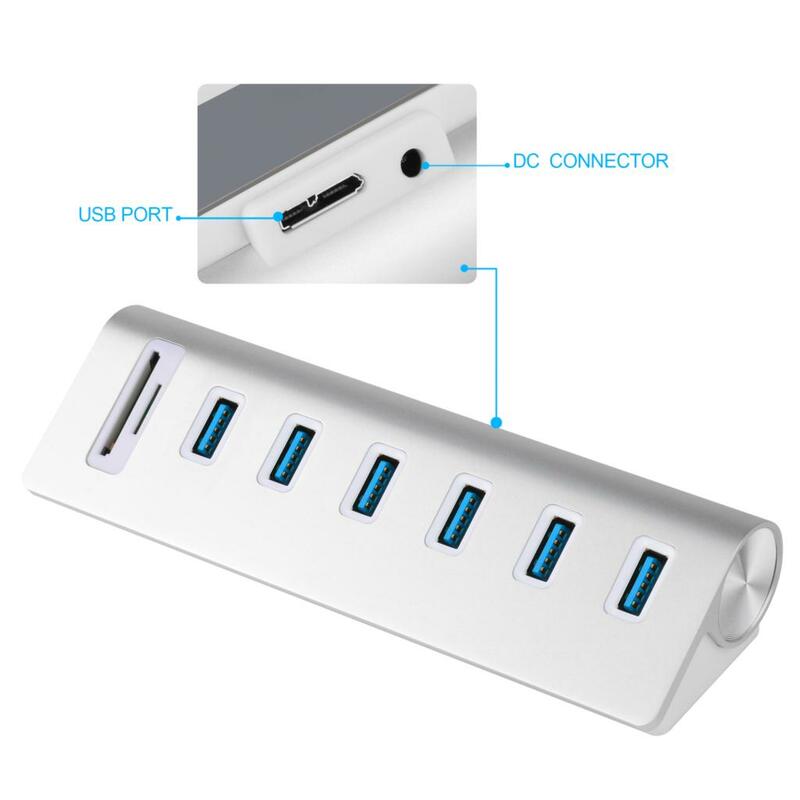 The Cateck 6 USB 3.0 aluminum hub with 2-Slot card reader is designed especially for laptops, tablets, and ultrabooks and expands one USB 3.0 high-speed port into six easily. 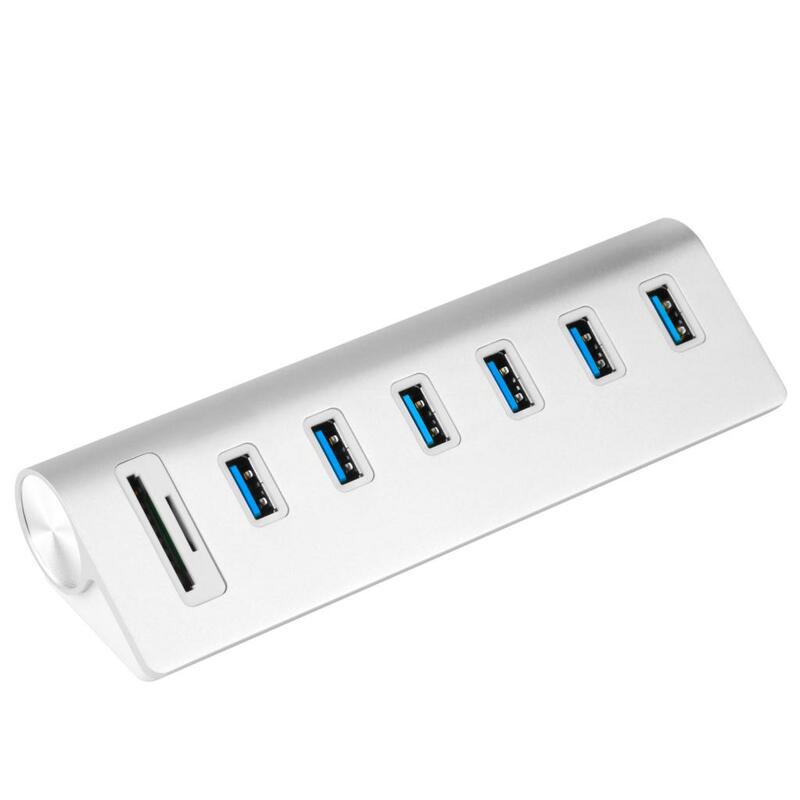 Its metallic silver finish and Apple-style curved edge with shielded white cable complement Apple computers and products. 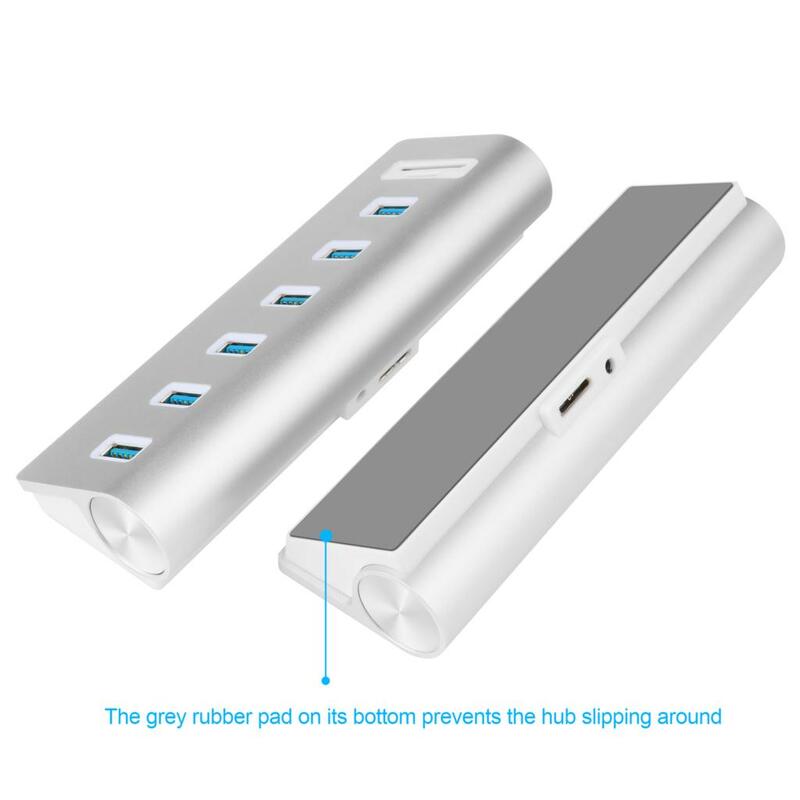 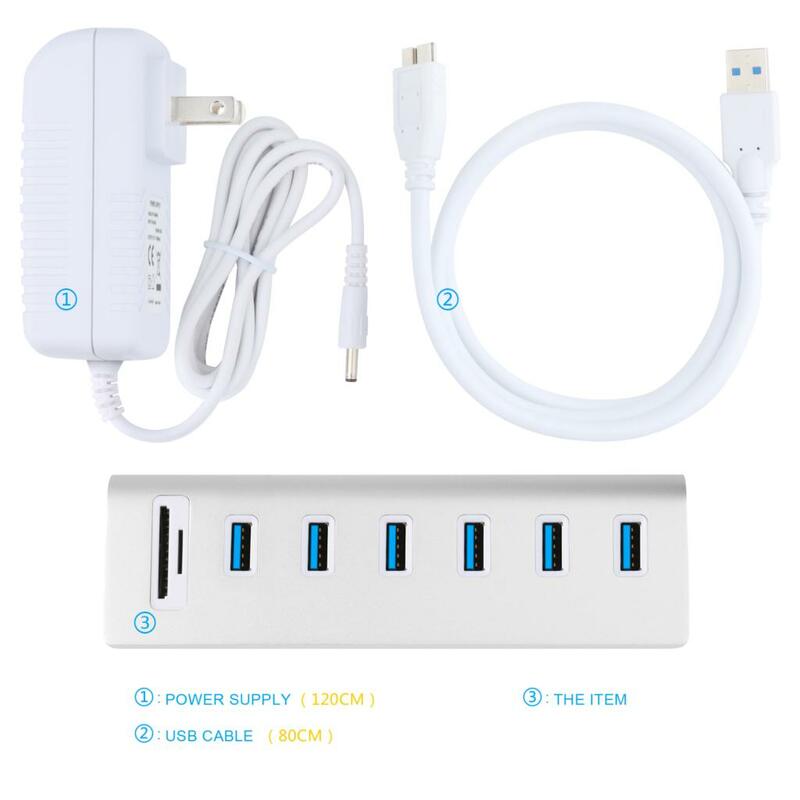 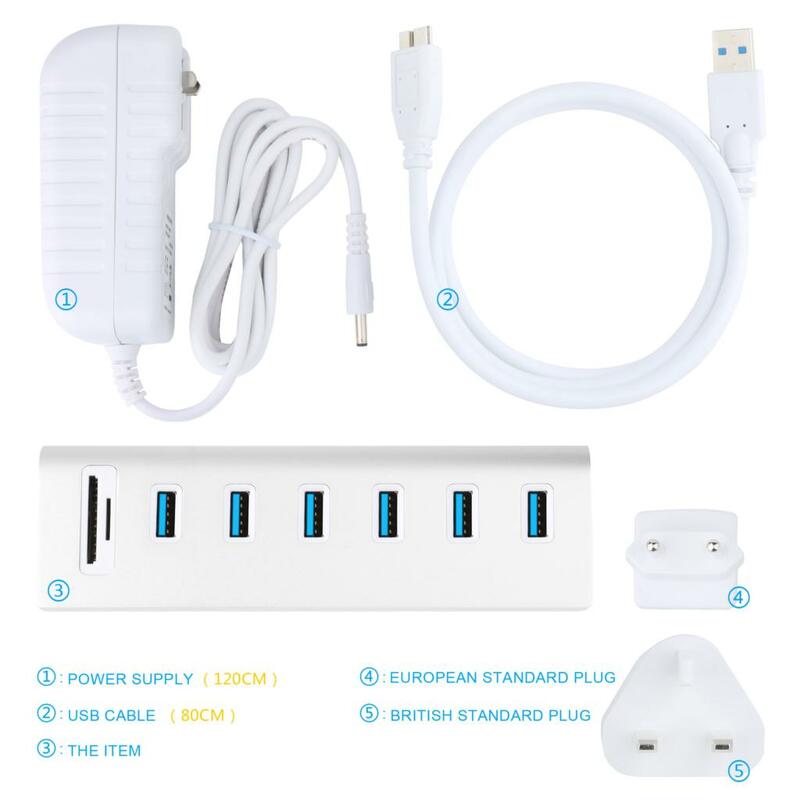 • To ensure a stable connection, don’t use this hub with high power consumption devices (those exceeding a combined current of 4 Amps among all ports) such as some large-capacity hard drives.